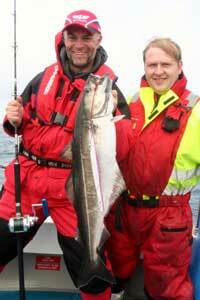 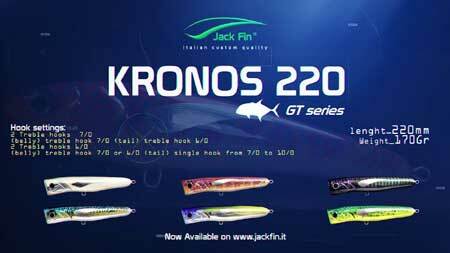 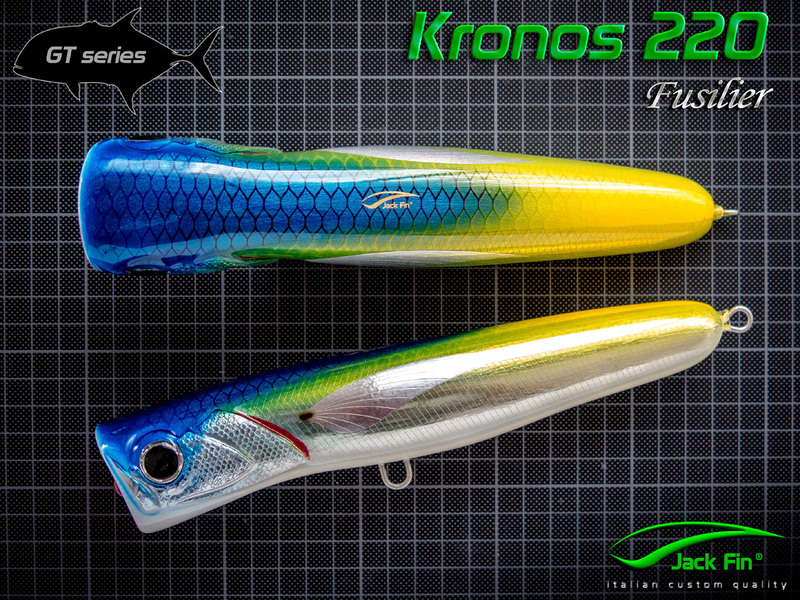 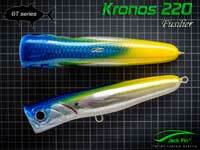 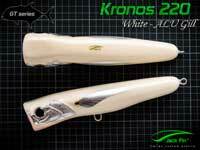 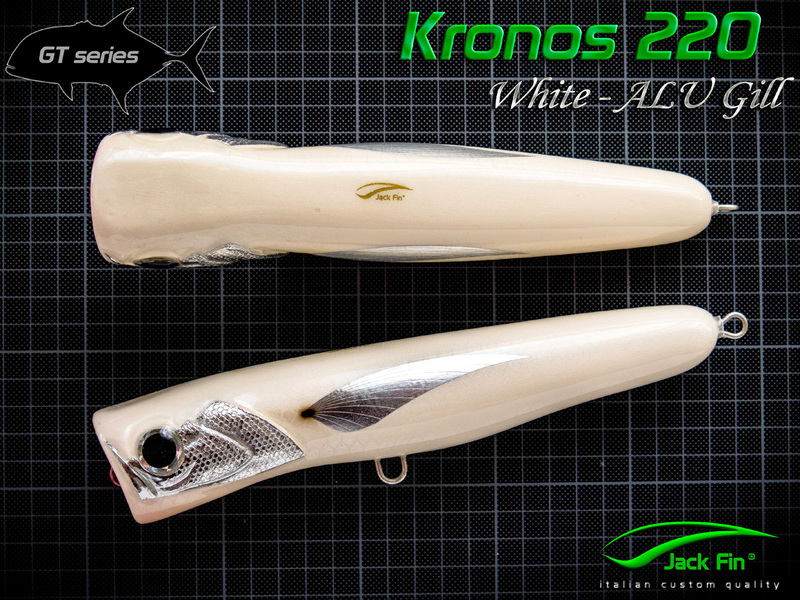 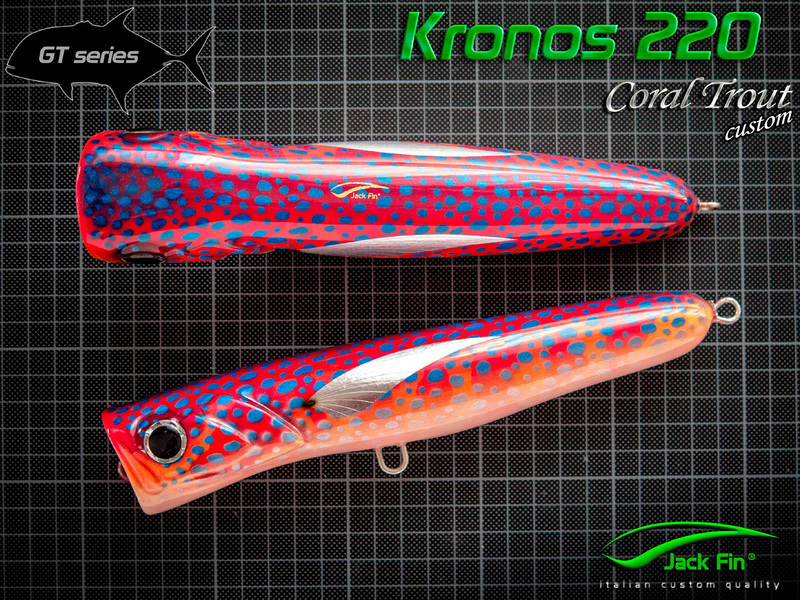 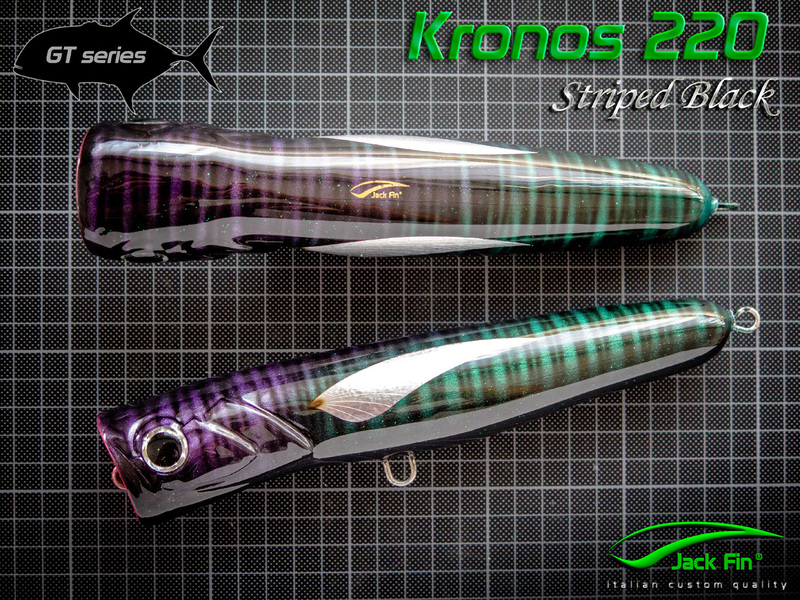 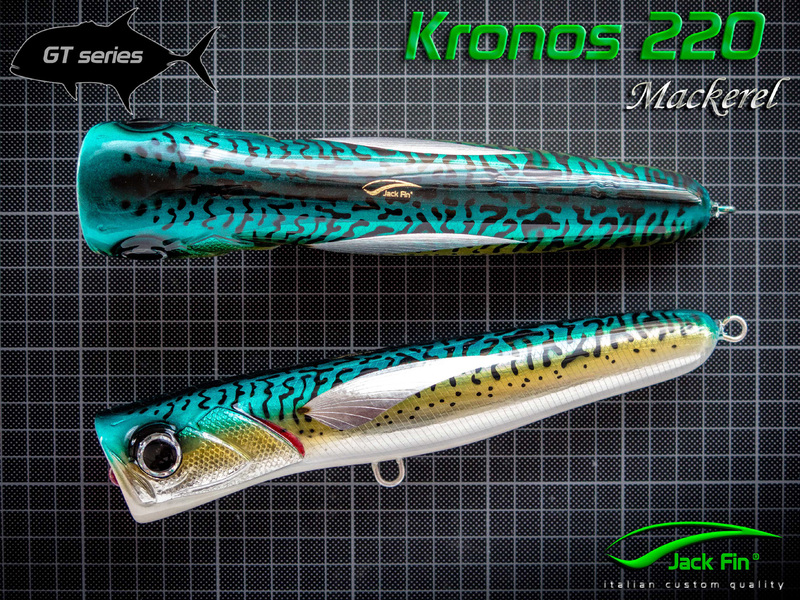 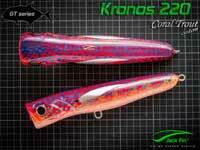 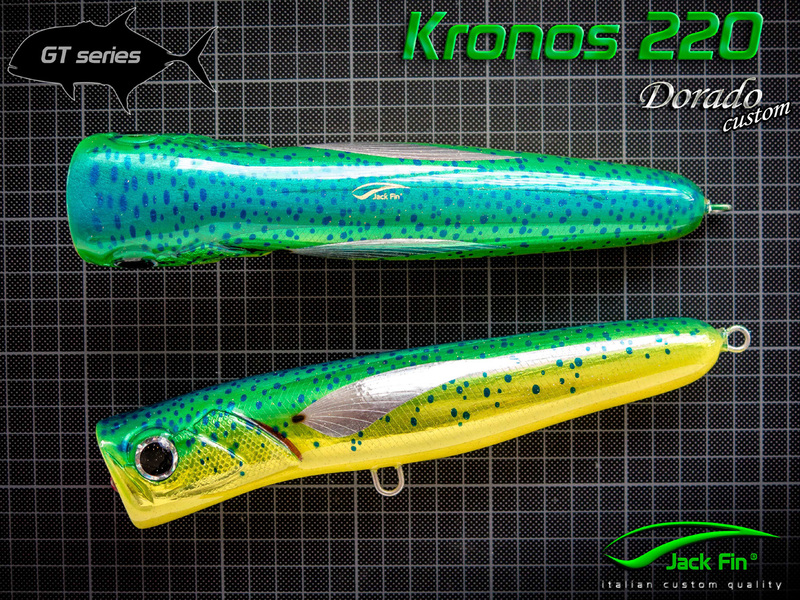 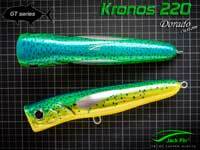 The Kronos is a popper with incredable performance. 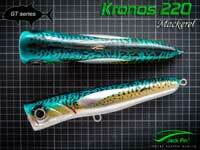 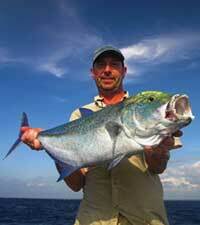 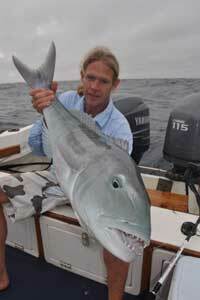 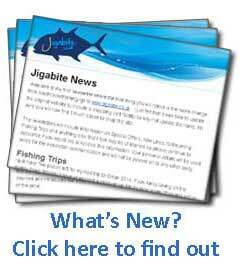 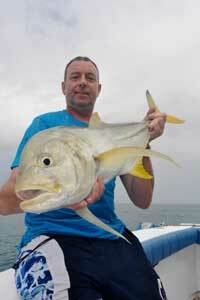 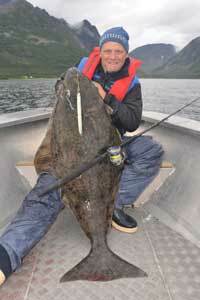 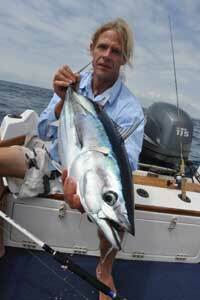 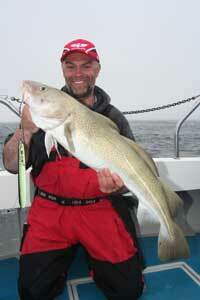 Its shape and balance make it quite unique and allows the angler to customise the lures action. 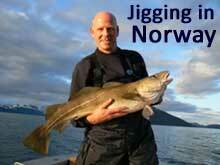 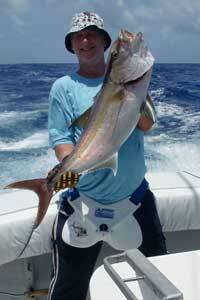 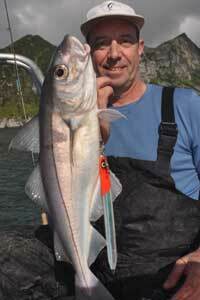 A short jerking retrieve will produce large water explosions while a longer jerk will create a noisy bubble trail. 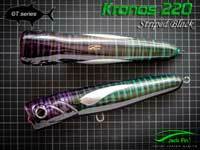 Through-wired with 2.1mm wire and protected with many coats of extra strong glossy finish.Built to last.